It all started in 1830, with a few believers in Paignton worshipping in Cathill House. Years later between 1835 and 1840 worshippers moved to a Chapel at Barnshill, which was built for the purpose of Baptist Worship. 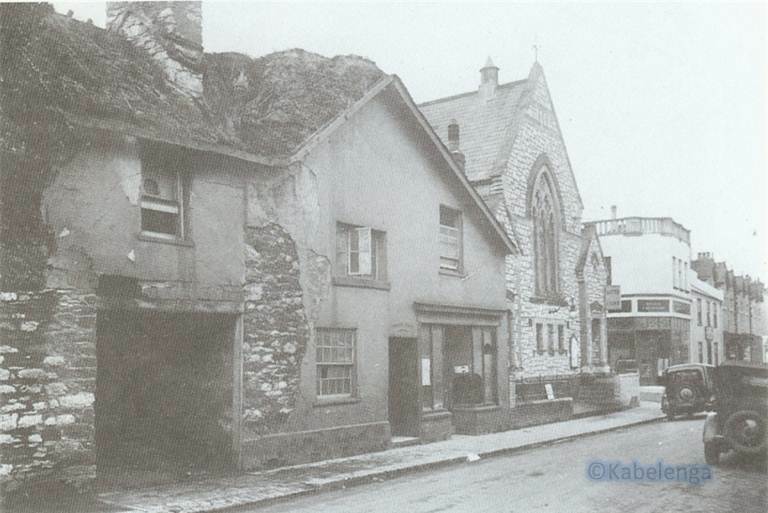 Services were carried out here until 1869, when the owner of the building, Mr J. Tozer died, and the Chapel being private, was sold off at auction to the Plymouth Brethren. The scattered worshippers met again nine years later for worship together in 1878, in a small room at Dartmouth Place. 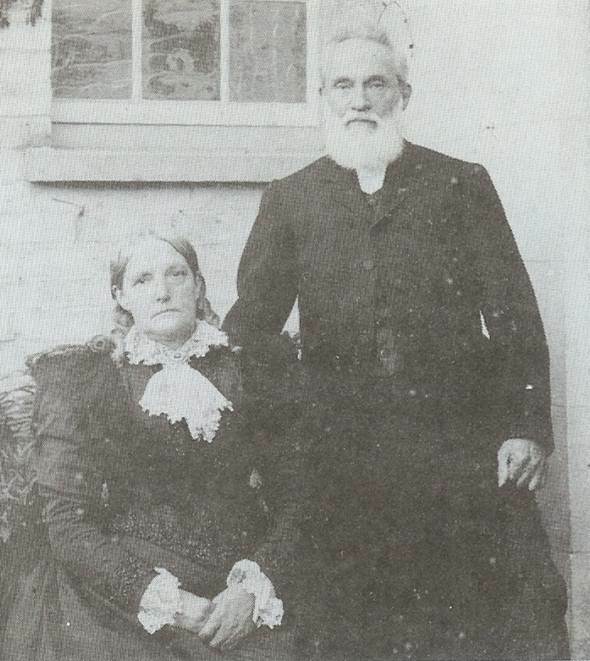 The daughter of Mr. Tozer regretting the sale of the Chapel years before purchased a piece of land in Winner Street for the sum of £200, with instructions that a Baptist Chapel be built as soon as funds would permit. Over the next few years the worshippers continued to meet at Dartmouth Place, albeit acquiring larger rooms, for their continued growth. 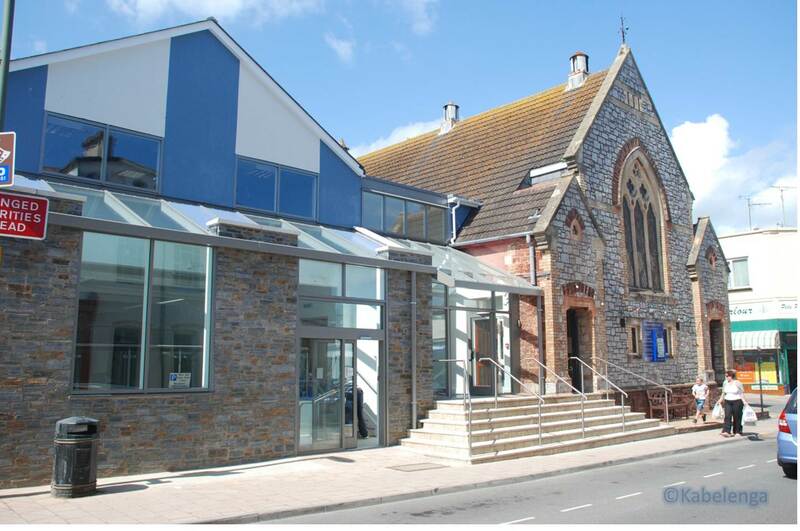 During this time a family moving from Torquay to Paignton, and attending Dartmouth Place, started to prepare plans for the new Chapel in Winner Street. On the 28th June 1882, the Rev. Ewan Edwards, a former Pastor of Upton Vale Chapel, Torquay, laid the foundation stone of the present Sanctuary structure. This Chapel was built entirely of Tor Bay breccia, in the Gothic style of architecture, and was capable of seating some 300 people. The internal fittings were of pitch pine, and the baptistery was situated underneath the platform. The Winner Street Baptist Chapel was opened in May 1886. Within the first twelve months a gallery was added. During the same year, the Rev. George Hider became the first appointed Minister of the chapel. From the late 1890's, Winner street and Stoke Gabriel Baptist Church had a very close partnership, resulting in the joint membership of their congregations. During 1896, a new organ was installed in the Church, which was situated along the back wall in the Sanctuary behind the pulpit. 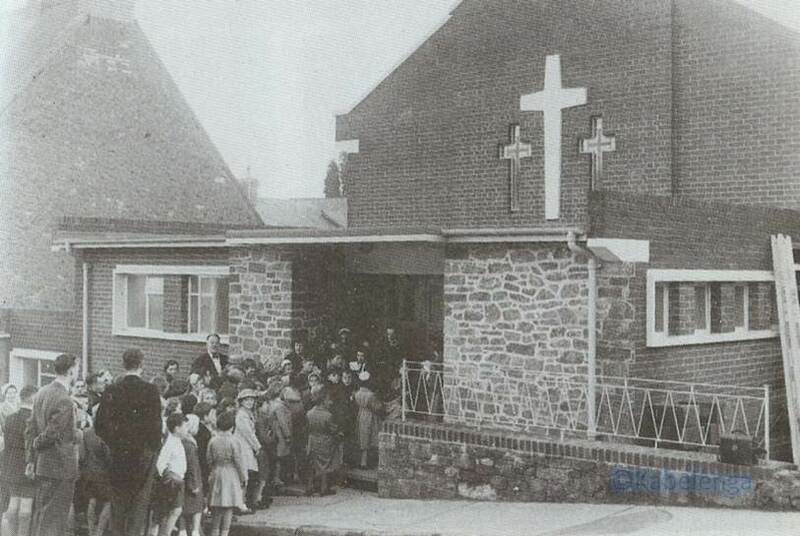 In 1922, Paignton Baptist Church in conjunction with Upton Vale Baptist Church held a conference, as to the possibility of a Church being established in the district of Preston. After half a dozen more meetings and much negotiation, a valuable site was brought on the main road between Paignton and Torquay, just behind the tramway shelter. This was the beginning of Preston Baptist Church. In Easter 1925 an "Empire Bazaar" was held, to raise money towards setting up Preston Baptist Church; the two day event was a great success and in 1927 a stone laying ceremony took place at Preston, with 3 stones being placed on behalf of Paignton Baptist, Upton Vale Baptist and Paignton Friends. By the end of that same year Paignton made its first transfer to Preston, with seven members moving as soon as it was formed. The Opening of the Preston Hall took place on the 30th November, with Winner Street presenting a gift of two communion sets. Back in Winner Strret, with the creation of a new road in 1925, leading past the north side of the Paignton Baptist Church (Clifton Road), the Church was given a generous offer of a large piece of garden ground next to the Church, for any further development in the future. In 1934 the Distin's plot of land, adjoining the Church (the building with the thatched roof in the picture above left) came up for sale. The Church bought this land with the future development of a Primary School building and a large Hall in mind. During 1935 the Church proposed the selling of the current Manse and building a new one, in the orchard at the top on the ground they had recently purchased. This was confirmed later the same year. 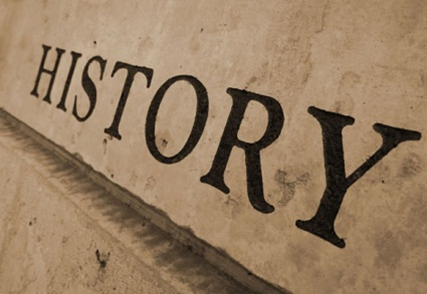 1943 saw the break-up of the partnership between Stoke Gabriel Baptist Church and Winner street, which had lasted for over 45 years or so, with Stoke Gabriel Baptist Church deciding to form a separate Church. In 1937, the New Primary School was completed, this was a separate building at the back of the Church land, before heading to the Manse. In 1946, the Sunday school requested a hut be placed for their use within the Church grounds. A Nissan Hut was aquired from Teignmouth, and placed on the site of the old Distin's building for this purpose. 1951 saw the completion of renovation work to the Church after alterations to the pulpit end, with the provision of new vestries, and the addition of a vestibule at the back of the Church. The organ had been completely renovated, with the addition of certain parts, and it was moved to a side position, which completely changed the appearance of the Sanctuary. 1959 saw the foundation stones being laid for the new Church Hall behind the main Sanctuary building, with the opening of the Hall taking place on Wednesday 18th November, with the tape being cut by Miss Bunting, a member of the Church since 1914, a life-deacon and former Missionary Secretary. In 1960 the first sermons were recorded, by use of a simple tape recorder. In the same year, the new carpark was finished beside the new Church Hall. 1965 was the year the Church decided that the Nissan Hut was showing signs of wear and tear, and that a suitable replacement Hall should be built. 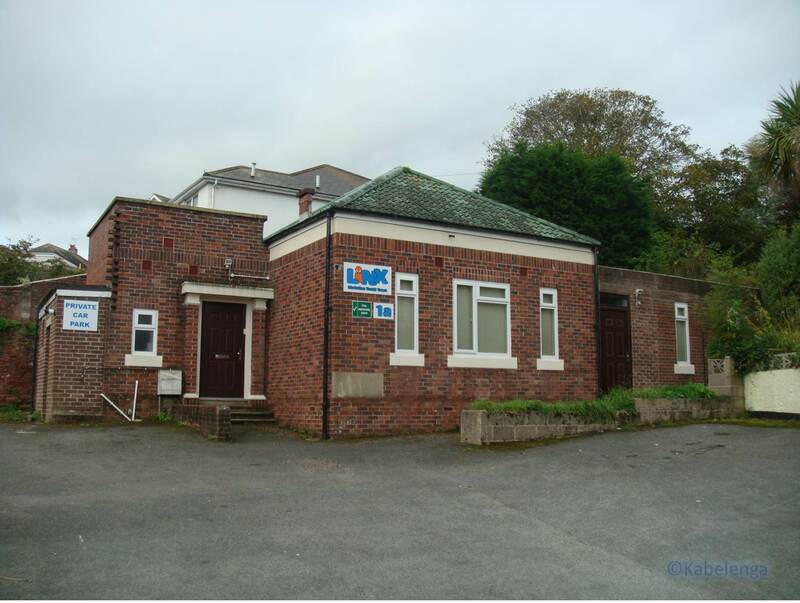 Plans for a permanent concrete block building were prepared and accepted. The opening of the new Hall, built on the site of the former Distin's building took place on the 11th November 1966, with a parade of brigaders. During 1975 a renovation scheme began with the re-roofing of the main Church and adding new carpeting along with a new vestibule. There were special Centenary Celebrations at Paignton Baptist, on the 29th & 30th November 1986, to celebrate the Centenary of the Church. Click on the link to see the Commemorative Orders of Service. 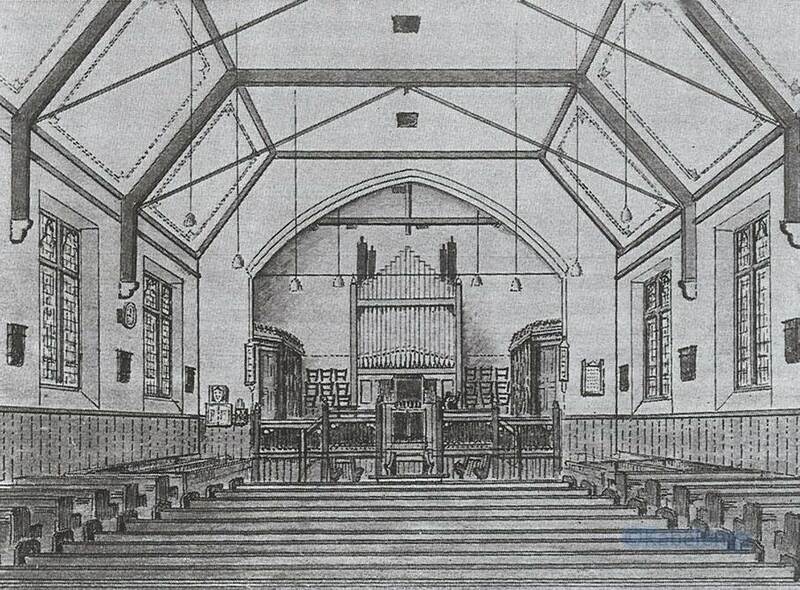 One of the last major changes to the Church came during the 1990's when the original Church pews were removed and replaced with modern chairs, this changed the appearance of the Sanctuary, and a glimpse of this can be seen in the above two images, comparing the Sanctuary over a 70 year period. 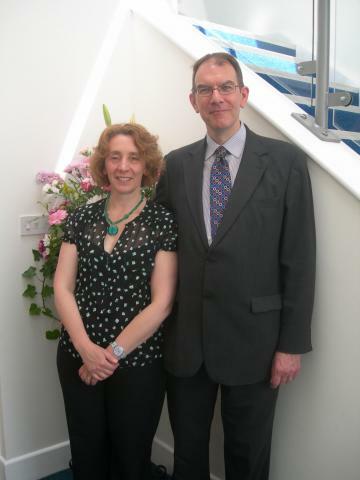 The first decade of the new millennium saw huge changes to Paignton Baptist Church, firstly with the retirement in 2009, of the Rev. John Sanderson, the Minister who had been with the Church since 1986. However the most dramatic event of these years came on Pentecost Sunday, in June 2007, when a small fire damaged the Hall, which was adjacent to the Sanctuary, connected by the vestibule. Because of the smoke and water damage, the Youth Hall and vestibule needed to be completely re-designed or re-built. The Church and Minister, had been thinking about modernising this particular part of the premises for some time before, but were unsure of what was needed and how to provide the funds needed. But after Pentecost 2007, the idea of modernising became re-building, and a major effort was made to provide the funds that would be needed. 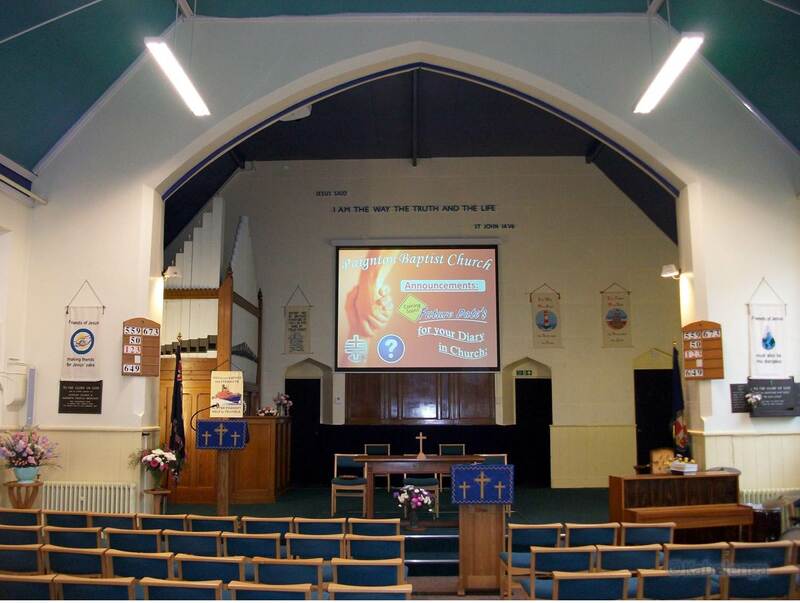 In 2009 after the fire in the Youth Hall, and the subsequent building work on the new CLC (Cross Link Centre), Paignton Baptist Church made a video to circulate to the other churches within the SWBA, in aid of raising money to provide for new chairs for the new building. Right click on the video box opposite and click play in the menu. The CLC was completed in 2009, just before the Minister, Rev. John Sanderson retired. This was the fulfillment of his long held vision to see the modernisation of this part of the building, making it more suitable for mission in the 21st century. In God's purposes the fire had provided the catalyst to turn this vision into reality. 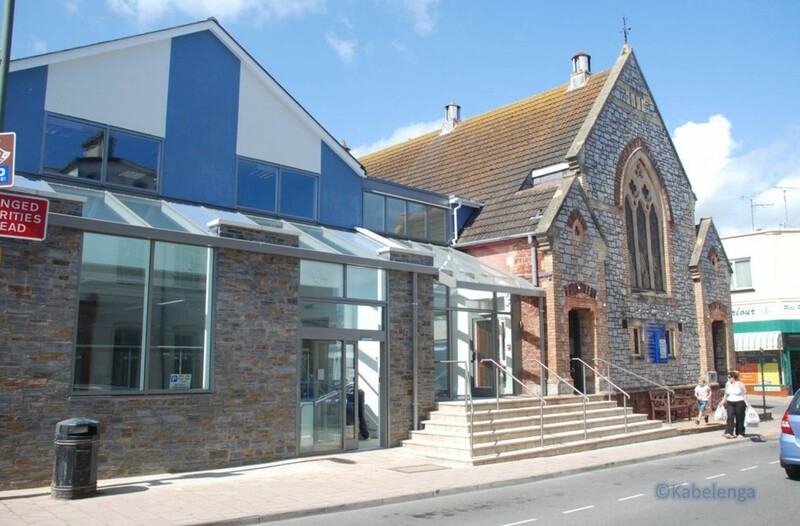 Since then, it has proved very useful for warious activities involving the community, including meetings of the Winner Street Traders, the Paignton Town Centre Community Partnership, training for the Street Pastors, and as a polling station. 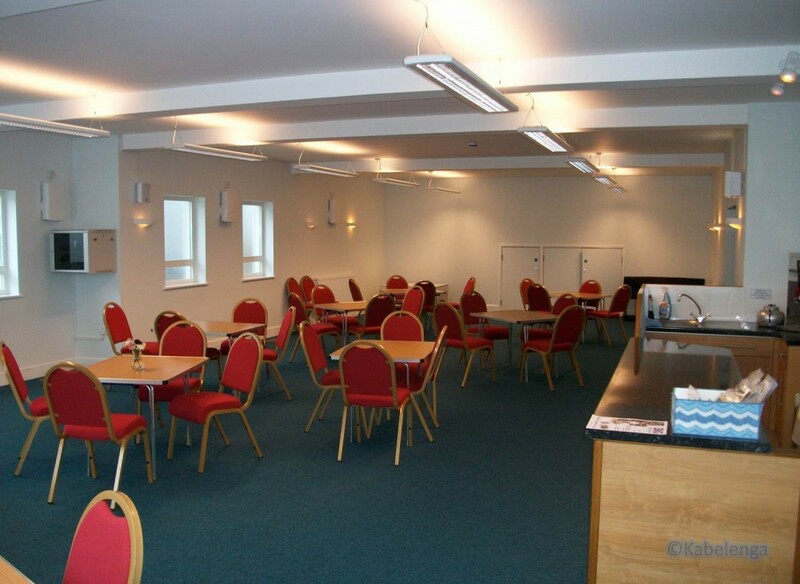 Tea and coffee are served after the morning services, with very convenient access from the church, and the coffee morning on Fridays has proved to be popular, with easy access from Winner Street. Regular meetings of church organisations here include Parent and Toddler Group, the Fridays for Fellowship, and the Women's Fellowship. In 2010, the Church, renovated the old Sunday school Primary building, situated at the top of the Church land, next to the carpark. This building had been vacant for some years, but recently interest had grown in it, either to renovate or demolish it (to make way for a larger car park). 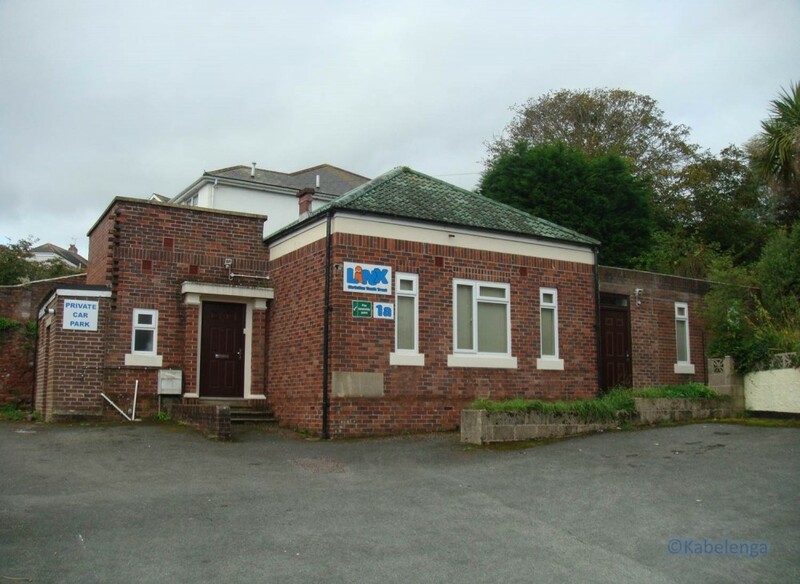 A local Christian Youth schools trust, LINX, needed to look for new premises, and were keen to rent out the building for their needs. This was an exciting time for the Church, with the new CLC, and now the primary being used by another Christian organisation. 2011 was the year the Church decided to sell off the Old Manse, which was situated at the back of the Church premises. The Manse had not been in use, since the retirement of our last Minister, and it was needing some renovation. It was also felt that it was too isolated. The church sold the Old manse and bought a new Manse, within the local community, a few months before the arrival of our new Minister. 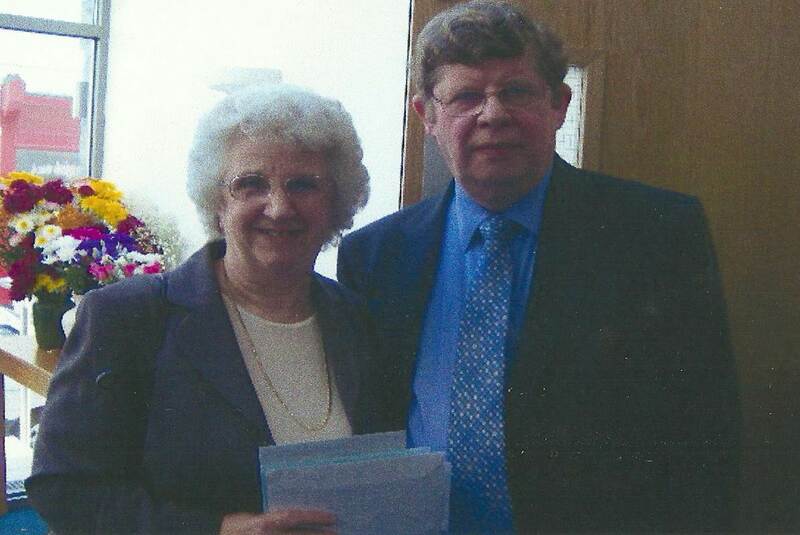 In July of 2012, the new Minister started at Paignton Baptist Church, Rev. David Hughes. During the first couple of months in Winner Street, David was involved with the Olympics, based in the Olympic Village in Stratford; and the Paralympics, based at Eton Dorney, as a Chaplain. Paignton Baptist Church was excited to have this connection with the Olympic Games in London, and that David Hughes' arrival at Winner Street, began with such blessed memories. 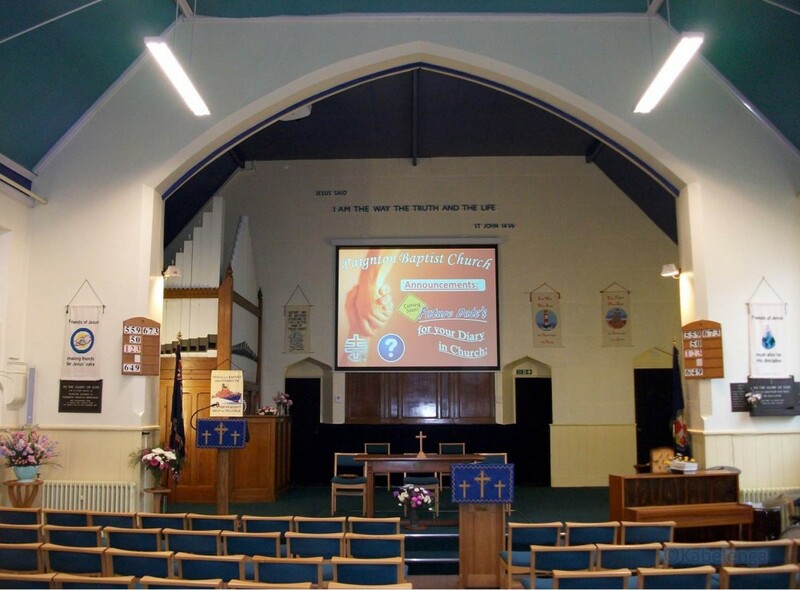 Since the summer of 2012, Paignton Baptist Church has also invested for the future with new Audio and Visual equipment for the Church, and together with a new website, promoting Winner Street in the 21st Century. The table below shows the list of all the previous Ministers of Paignton Baptist Church, Winner Street, from when the Church was founded, right up to the present day.